Olansi Healthcare Co., Ltd is a China-based company geared towards offering purified water to people at affordable rates. Their range of products includes water machines, water generators and various water purifying machines. Pollution levels have gone up over the years and people are facing health complications due to it. It is a significant concern for the modern world as even animal life as taken a hit and the whole ecosystem is in danger. Natural resources of water are now contaminated, because of which pure water is inaccessible to the public. However, Olansi Healthcare Co., Ltd has come up with hydrogen water machine to offer purified water at affordable rates. Olansi Healthcare Co., Ltd is a corporation which manufactures water purifiers and disinfectant water machines. Water is consumed in large amounts and contributes to our health, so purified water must be accessible to all. Hydrogen water is useful for morning detox, cooking delicious soups and rehydration of the body. People who exercise regularly, pregnant woman and patients of high blood pressure also require hydrogen water in daily life. The hydrogen water generator produced by Olansi is of the good quality raw material so that they last long without compromise in water quality. They have an attractive design and are convenient to carry due to their lightweight. Touch control and intelligent shutdown are also offered so that people have no difficulty using it. The bottle is made of Eastman Tritan plastic which has high-temperature resistance, endurance and is easy to clean. All the products are free of toxic plasticizer so that there is no harm caused to the environment. The technology used in the production of the water generators is properly researched and dependable. The water makers go through a strict quality check at every production process to make sure customer satisfaction. All these features are given to customers at competitive prices and the company also offers OEM and ODM services. Olansi Healthcare Co., Ltd has ISO 9001: 2008 Quality System and the Chinese National Product 3C certification. As of now, the company is one of the leading providers of hydrogen water maker and employs several people for R&D and sales purposes. The sales of their products have seen a constant growth and this allows them to expand and diversify their services regularly. The emphasis on quality production, cost effectiveness and innovation has resulted in a loyal customer base and a reputed image in the market. The after-sale service is also impressive to make sure the water purification needs of the people are met. Consumers are encouraged to contact the sales team in case of any queries about the product. 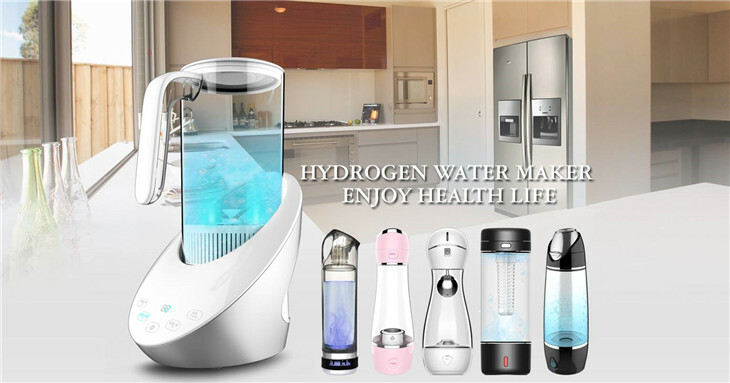 Olansi Healthcare Co., Ltd is a company dedicated to offering the best hydrogen water purifiers. The purifiers are equipped with the latest technology which does not harm the environment and helps people get the best quality of water for their everyday uses. Details and description of all the products manufactured by the company are available on their website.